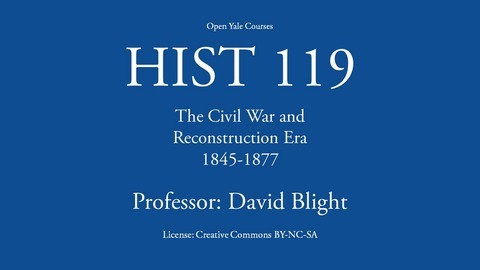 Professor David Blight. Open Yale Courses. 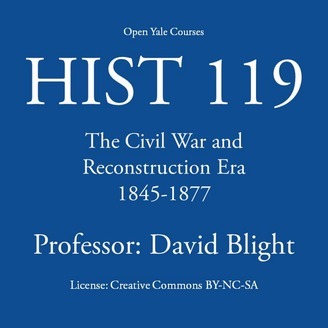 The causes, course, and consequences of the American Civil War, from the 1840s to 1877. License: Creative Commons BY-NC-SA. Lecture 25 - The "End" of Reconstruction: Disputed Election of 1876, and the "Compromise of 1877"
Lecture 24 - Retreat from Reconstruction: The Grant Era and Paths to "Southern Redemption"